From an early age, Mr. Gary Standel developed a passion for flying and a desire to transform the traditional modes of private air charter into a reliable and remarkable experience. It was with this passion that he founded West Coast Charters in 1987. With only a single turbo-prop, he began providing charters for local Orange County developers and businessmen. Since the beginning, the company’s main goal has been to provide a safe, comfortable and personal experience for every customer. In 1989, he was granted a multi-aircraft Air Carrier Certificate which allowed him to expand his fleet and build a presence in Orange County. Through determination and referral-based advertising, he developed a reputation for outstanding service, honesty and integrity. In 1995, he expanded his company once again by opening his corporate headquarters at the south end of John Wayne Airport; then, in 2004, he expanded his maintenance division with the addition of a 30,000-square-foot hangar in Long Beach, CA. 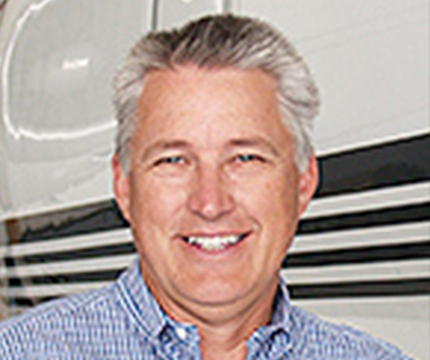 As President and CEO for the past 26 years, Mr. Standel has established West Coast Aviation Services, and its subsidiaries—West Coast Charters, West Coast Aircraft Maintenance, West Coast Aircraft Sales and West Coast Aircraft Shares—as one of Orange County’s leading full-service aviation companies. While building up his own company, he also served on the Board of Directors for Angel Flight West and on the Orange County Business Council. His passion for flying and his community continues today. Mr. Standel’s experience, drive, determination and leadership have resulted in continued success, which allows him the ability to dedicate his valuable time and resources to Miracles for Kids and its mission.